Home » 10 Years Societal Impact of Pain – Happy Birthday! 10 Years Societal Impact of Pain – Happy Birthday! In 2009, SIP was founded as a mutual initiative of European Pain Federation EFICand Grünenthal. In 2011, Pain Alliance Europe (PAE) joined the SIP platform to represent the patients in this initiative. This has been a huge step to address the real needs of patients. We experience that politicians listen more to patient advocates than to any other stakeholder group.Finally, in 2014 Active Citizenship Network (ACN) completed this partnership to represent the interests of the European citizens. SIP started with a small group of people interested in the topic of “Societal Impact of Pain”. The name “SIP” was chosen more or less accidentally based on the drawing made at the flipcharts in this meeting. Now 10 years later, the platform has grown into a big SIP community with more than 300 endorsing organisations. 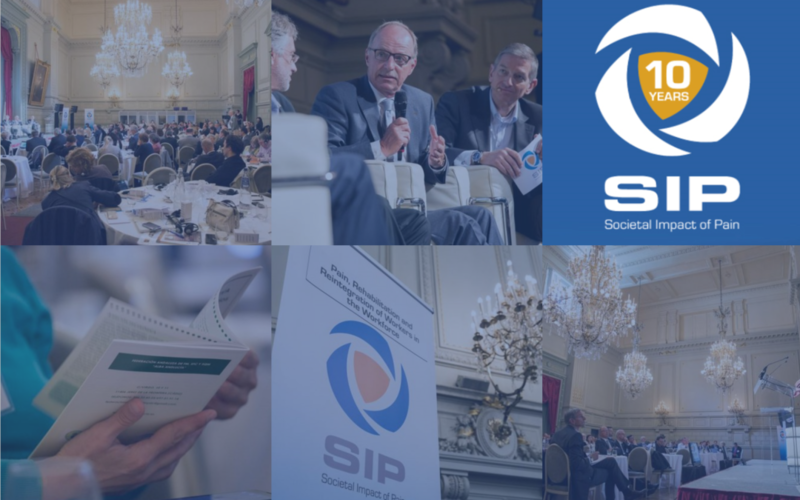 SIP is widely seen as a benchmark for integrated multi-Stakeholder collaboration towards concrete actions and achievements. Read more about the significant accomplishments of the SIP platform from the past 10 years. This year, we will showcase some of our achievements and significant events from the last 10 years and ask our partners and pain experts about their vision for the next 10 years in pain advocacy.